India's civil aviation sector soared in 2017 as passenger traffic continued to rise on the back of more regional flights. NEW DELHI: India's civil aviation sector soared in 2017 as passenger traffic continued to rise on the back of more regional flights and higher disposable income levels. Addressing industry chamber Ficci's 90th AGM here earlier this month, Prime Minister Narendra Modi said his government's policy reforms had resulted in an equitable and inclusive growth for the sector. "In the aviation sector, we have brought in policy changes that have enabled even a ‘hawai chappal' (slipper)-wearing person to avail the benefits of air travel. We have brought this type of change," Modi said. 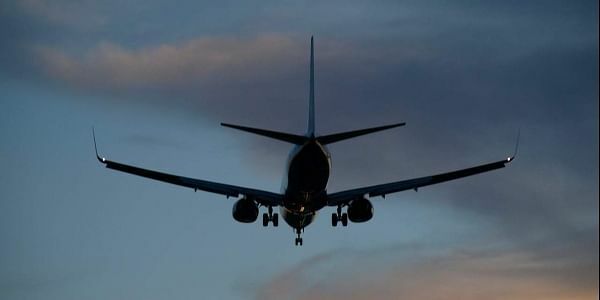 Besides augmenting passenger traffic growth, the Rs 2,500-an-hour flight services launched under the regional air connectivity -- UDAN -- scheme also expanded the country's aviation infrastructure. In the first phase, contracts to five companies were awarded to operate flight services on 128 routes to 70 airports. Till recently, RCS-Udan operations to 13 airports had commenced, with an additional 12 ready to receive flights. Apart from enhanced services to non-metro cities, the sector has also benefited from the rise in domestic disposable income levels and lower jet fuel prices, all of which accelerated passenger traffic growth in 2017. According to the latest data from the Directorate General of Civil Aviation (DGCA), passenger traffic during January-November 2017 zoomed 17.27 per cent to 105.9 million. The rise in passenger traffic aided airlines to post healthy quarterly figures and also place new aircraft orders in anticipation of future growth. The government, however, did not see the same logic working in favour of debt-ridden Air India. The Union Cabinet, in a momentous decision, mandated the formation of an "Air India -- Specific Alternative Mechanism" headed by Finance Minister Arun Jaitley to look into the strategic divestment of the airline. Among the potential bidders, budget passenger carrier IndiGo evinced interest in buying the airline's international operations and its subsidiary Air India Express. In addition, aviation industry majors SATS, Bird Group and Celebi have shown interest in buying Air India's ground handling unit. Currently, the airline is under a massive debt burden of Rs 50,000 crore, and had posted an operating profit of Rs 105 crore in 2015-16. The year also saw some very low points, especially with frequent clashes erupting between passengers and crew. These rare, but disturbing incidents forced the airline industry to even debar individuals, including MPs, from using their services. Consequent to the frequent on-board misbehaviour, the government constituted a "No-fly" list which bans erring passengers from availing flight services for a minimum of three months to two years in certain cases. The mechanism categorises unruly behaviour into three bands: Level 1 -- unruly behaviour (verbal); Level 2 -- unruly behaviour (physical); and Level 3 -- life-threatening behaviour. It also mandates a different quantum of ban defined in terms of the level of offence: Level 1 -- up to three months, Level 2 -- up to six months; and Level 3 -- a minimum period of two years or more without limit. On-ground friction was also witnessed, as airport operator DIAL had a hard time to convince its tenants -- IndiGo and SpiceJet -- to shift some of their operations out of Terminal-1, so that the facility could be expanded further. The law suit ended in DIAL's favour with IndiGo given time till February 15, 2018, to shift a part of its operations to Terminal 2. The DIAL had earlier directed IndiGo, SpiceJet and GoAir to relocate their operations in "parts" and split their operations by shifting flights to and from some sectors, namely Mumbai, Kolkata and Bengaluru, to T2 with effect from January 4, 2018. It also said that the capacity of the three airlines to and from the three sectors would amount to around eight million persons per annum and shifting those to T2 would considerably reduce the burden on T1. GoAir has since shifted its entire operations to T2.